RAPAPORT... Global demand for gold jewelry rose 6% year on year to 535.7 tonnes in the third quarter, as reduced prices drove consumer purchasing, the World Gold Council (WGC) said. Orders for gold jewelry in India climbed 10% to 148.8 tonnes in the three months ending September 30, as the price of gold dipped to its lowest level since January. In addition, the sharp growth was also due to relatively weak demand a year ago, as consumers bought jewelry before the third quarter, ahead of the implementation of the country’s new goods and services tax on July 1, 2017. Demand in China grew 10% to 174.2 tonnes amid strong purchasing during the Mid-Autumn and Qixi festivals. 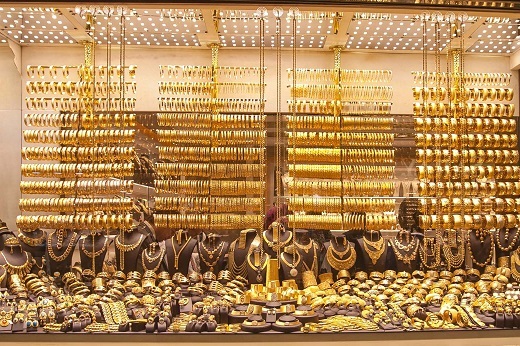 The US market rose 4% to 28.3 tonnes, with plain yellow-gold pieces proving the most popular choices among consumers, the WGC said. Middle East demand fell 12% to 37.7 tonnes due to geo-economic challenges and currency depreciation. Global demand for gold in all forms — such as bars and coins, and for technology, finance and investment — rose 13% to 964.3 tonnes.